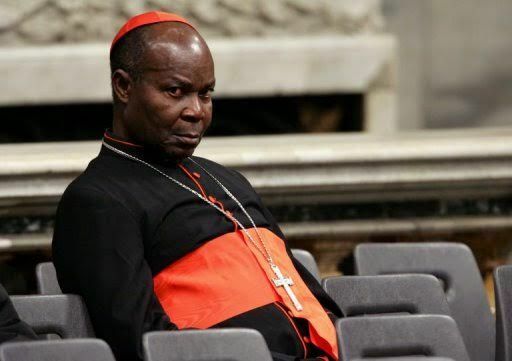 Cardinal Olubunmi Okogie, former Archbishop of the Catholic Church in Lagos, has asked that the President Muhammadu Buhari-led administration admits its failure, The Cable reports. The truth is: Nigerians are not happy; Nigerians are hungry and angry. They are not happy because their lives and their belongings are not safe. They work so hard while the value of the money they earn cannot make them enjoy basic things of life. Nigerians are unhappy because the economy has been so mismanaged that some cannot pay the school fees of their children. Nigerians are unhappy because they have not got jobs. Nigerians are unhappy because, instead of hope, they are offered propaganda and insults by the president’s men. Nigerians are angry because their loved ones are butchered by herdsmen while the response of government is woeful. The issue at hand is more serious than getting re-elected. It cannot be resolved by way of a facile intra-party reconciliation. Before it can succeed, this government must admit it has failed. Before it can retrace its steps, this government must admit that it has strayed from the path of keeping the promises it made, promises that made Nigerians to vote as they did in 2015. Apart from seeking intra-party reconciliation, this government must first reconcile with Nigerians by treating them with respect. He also criticised what he said is the administration’s attitude of seeing as an enemy, anyone who raises doubts at to the rightness of the government’s policies and actions. The bishops did the same thing a few days ago, calling the attention of the president to the anger and disappointment in the land. At the end of their friendly exchange with the president, some of his aides and friends resorted to name calling and gratuitous accusations. Anyone who has a faint idea of how the Catholic Church is run would know that the Catholic Church does not run on tithes. It has never taught that God’s blessings depend on tithes. No Catholic bishop in this country has a private jet. Not even the Pope has one. But an uninformed state governor, notorious for being insolent, described the bishop’s intervention as the wailing of religious leaders who no longer have access to tithes because of this government’s anti-corruption fight. True friends tell each other the truth. There cannot be sincere friendship where there is no truth. Those who are telling our president the truth are his true friends. Those who are shielding him from the truth, while insulting those who tell him the truth, are his real enemies. By insulting well-meaning Nigerians who happen to disagree with policies of government, they are not winning friends for the president. They are in fact helping to grow the rank and file of the angry. Whoever loves this President would want him to succeed. Whoever wants him to succeed must tell him the truth. For if he fails, Nigeria fails.